Bulletproof coffee is a popular brain-boosting drink that uses grass-fed butter and coconut oil to create a creamy coffee without any dairy. 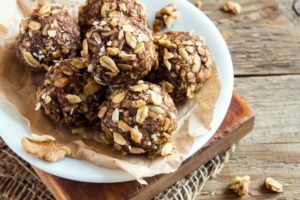 This recipe takes it one step further by adding a healthy heaping of grass-fed collagen for a dessert bursting with espresso flavor that rivals any bakery! Instead of ladyfingers, a coconut flour cake batter forms the first layer. By beating egg whites and gently folding them into the batter, the cake bakes up airy and moist, similar to sponge cake. Pasture-raised eggs add protein and CLA, which help prevent signs of aging in skin. The second layer is a cashew espresso mousse that houses the rich coffee flavor and good-for-you collagen. You can use grass-fed gelatin or collagen peptide powder. Whichever you choose, they both contain the benefits of collagen with amino acids glutamine and glycine, known for their ability to repair the digestive system and relieve arthritis pain. Tip: To truly reap the benefits of collagen, make it a part of your daily routine. Start by adding a tablespoon of collagen peptides to your bulletproof coffee! The final layer is a simple whipped coconut cream topping. Use only the thick portion from a can of chilled, full-fat coconut milk to whip into a light, naturally sweet and fluffy frosting. Use it to top cakes, ice cream, or hot cocoa! Start by lining a 9-inch springform pan with parchment paper. A springform pan will allow the cake to be easily removed from the pan and keep all the layers in place. To make the cake layer, combine coconut flour, baking powder, coconut oil, coconut milk, maple syrup and three eggs in a small bowl and stir to combine, forming a thick batter. Using a hand mixer, separately beat the two egg whites until soft peaks form. Fold egg whites into batter using a spatula. Pour into prepared springform pan and spread evenly. Bake 25-30 minutes, then let cool 15 minutes. While the cake bakes, stir gelatin/collagen peptides into a freshly brewed shot of espresso to dissolve. Add to a food processor and combine with cashews, maple syrup and coconut cream. Pulse on high speed until cashews are completely ground and mixture is thick. Scrape sides as needed. Pour cashew mixture onto cooled cake layer. Chill to set, about 30 minutes. While the tiramisu sets, use a hand mixer to beat coconut cream on high speed until thick and fluffy. Top cake with coconut whipped cream and dust with cacao powder. Refrigerate until serving. 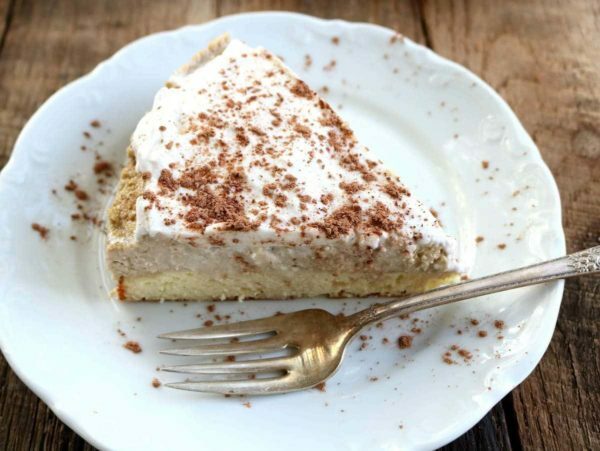 Tip: Since coconut cream often solidifies in refrigerator, thaw the tiramisu at room temperature 15 minutes before serving. Have you tried this recipe? Tell us how much you loved it in the comments below!